In honor of the 2008 Summer Olympics, we’ve compiled a list of some eco-activist athletes. Go team! 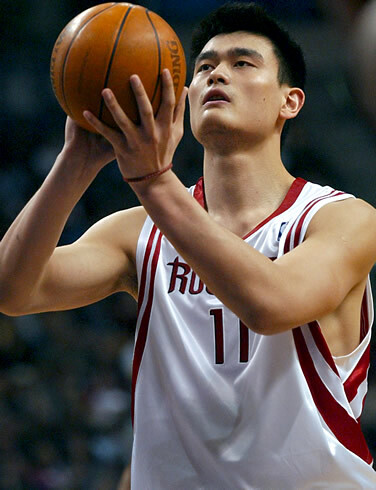 Yao Ming, China’s basketball hero and NBA superstar for the Houston Rockets, is taking the Olympic opportunity to talk about conservation efforts, including ending animal poaching and calling for an end to the Chinese tradition of shark-fin soup. 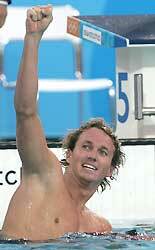 Aaron Peirsol, the top U.S. backstroker, is collaborating with Oceana on a Race for the Oceans campaign. He’s also been vocal in the media about protecting the oceans and released a PSA calling for a halt to overfishing and ocean pollution. Steven Lopez, who already won two Olympic gold medals in Taekwondo, pledged to the GreenLaces campaign and is as committed to conservation just like his younger brother, Olympian Mark Lopez. Olympic rower Tom Paradiso is part of the GreenLaces campaign, pledging to stop shopping with plastic and start bringing reusable bags from home to the grocery store. He also pledged to unplug unused appliances and start his own compost pile. Soccer forward Heather O’Reilly is playing for the U.S. Women’s National Soccer Team and vowing to protect the planet by pledging to GreenLaces.